Gluten Free Butternut Squash Bread. I made you some butternut squash bread! I know I have said this before, but I just love getting my co-op basket. You never know what fruits and vegetables you are going to get. I love squash and have been using it a lot lately, so when I saw it in my basket, I wanted to try something different other than roasting it or making a soup. So I decided to try baking some bread with it. 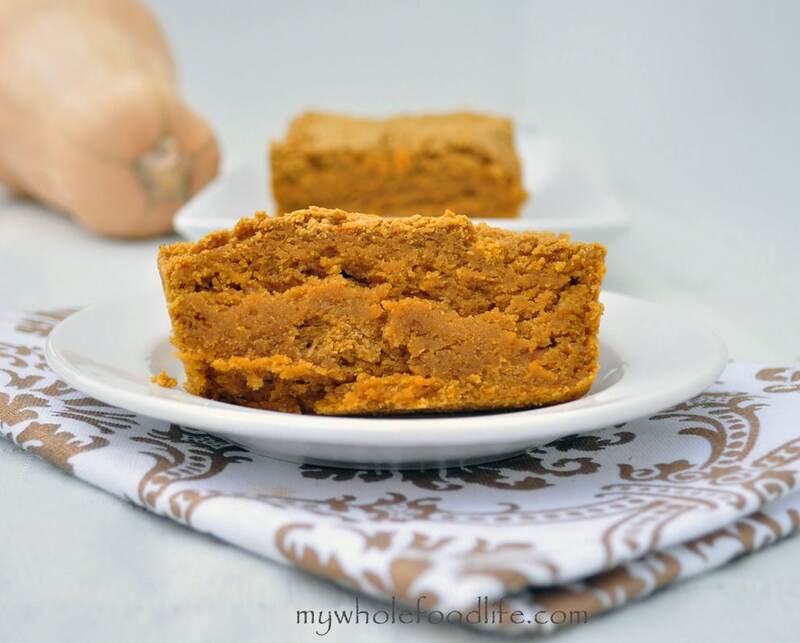 This gluten free butternut squash bread came out moist and delicious! This recipe is great because butternut squash is already naturally sweet so you can use much less sweetener. I am all about cutting the sugar whenever possible. This would be yummy to make on a cold day. We just haven’t had many of those yet here in Dallas. Baking it also makes the house smell so good. I hope you enjoy it. Mix all wet in a smaller bowl. Add wet to dry and place batter in a loaf pan. I used an 8 inch loaf pan . Bake for 40 – 45 minutes or until the toothpick comes out clean. Enjoy! I made these into muffins today. Very moist and delicious! After reading the other comments, I doubled the pumpkin pie spice and used closer to half a cup of maple syrup and they were perfect. I baked them for about 28 minutes.